http://www.acagalleries.com/ ACA Galleries is pleased to present its first exhibition of John Mellencamp’s paintings. 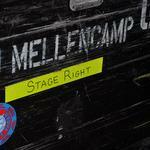 The creative spirit often finds multiple expressions and such is the case with John Mellencamp. 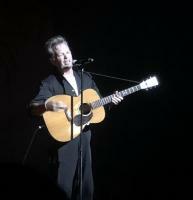 Known primarily as a legendary musician and long-time social justice activist, Mellencamp is a member of the Rock and Roll Hall of Fame, recipient of The Woody Guthrie Award and the John Steinbeck Award. He is also an accomplished painter who has seriously pursued painting for more than 35 years. He has had solo exhibitions at The Butler Institute of American Art, Youngstown, Ohio; the Tennessee State Museum, Nashville, The Museum of Art - Deland, Florida and the Morris Museum of Art, Augusta, Georgia. Raised in Indiana and influenced by his mother who painted in the family home throughout his childhood, Mellencamp’s urge to paint started at age ten when he began experimenting with oils. Later, he came to New York with the intention of studying painting. He had his first formal training at the Art Students League, with portraitist David Leffel, where Mellencamp discovered German art and the work of Twentieth Century Modernists such as Walt Kuhn and Chaim Soutine. He evolved a style of portraiture influenced by the paintings of the German Expressionists. Beginning with an early affinity for portraiture Mellencamp found his visual voice in Expressionism. The German Expressionism of the early twentieth century, with its anguish over human brutality and corruption, spoke to Mellencamp’s deep feelings about social justice. His kinship with the Expressionist artists, both by inheritance—he is the descendant of German immigrants— and attitude, served as the foundation for the development of Mellencamp’s own oeuvre. But though that foundation is German, the evolved result is decidedly American, with the brash and snappy visual rhythms of our streets, our lives, our politics, angers and passions. Mellencamp’s imagery thus takes its inspiration from the same sources as his music: the struggles of the working man and woman, oppressive authority and social struggle. And like his music, the paintings are carefully composed through the structural requirements of harmony, rhythm and order. The exhibition title conveys how John must essentially isolate himself, using the silence to summon images and manifest his voice. Mellencamp continues to live in his native Indiana, where he maintains his home and studio outside Bloomington, where painting continues to be a mainstay of his creative spirit. will there be any sort of opening night party with John that maybe some of us could go to? John is so talented!!!!!!! As an artist and musician myself, I find him very inspiring! I'm so glad to see that his art is being displayed. Will John be brining his art work to a gallery in Australia in 2016 by any chance? - would love to see it.